Serve up something simply elegant. 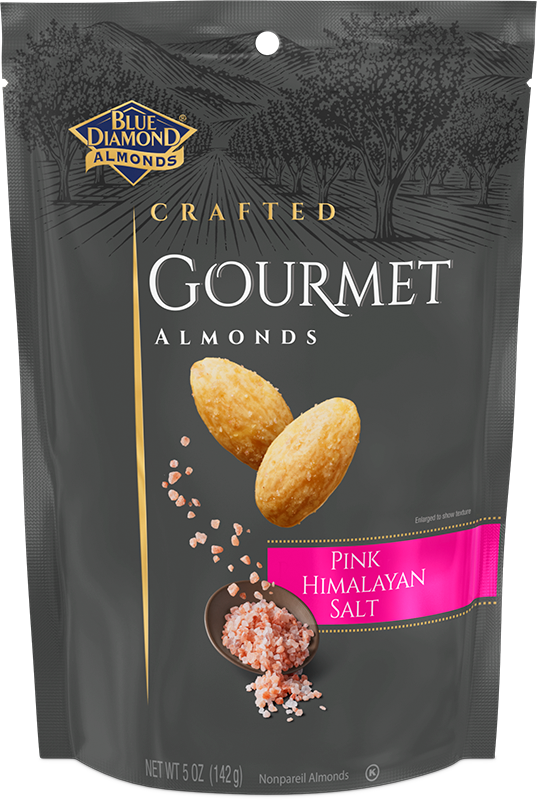 These almonds are roasted and seasoned with beautiful pink Himalayan salt to bring a delicate balance of savory crunch to a platter of pickled vegetables or delectable sweets. Get inspired with our Jolly Pink Salt & Chia holiday gourmet pairing featuring Pink Himalayan Salt almonds. ALMONDS, VEGETABLE OIL (CANOLA AND/OR SAFFLOWER), PINK HIMALAYAN SALT.